Since its establishment in 1847, Cartier has created and maintained a precedent in the design of technologically innovative and aesthetically exceptional watches and jewelry. 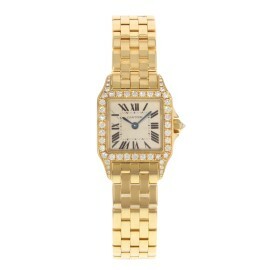 From the Santos watch to the Love Collection, Cartier has designed the most iconic accessories. A newcomer to the world of Cartier, the Ballon Bleu watch was released just in 2007 but has already established itself as a fan favorite. The distinguished Ballon Bleu’s inimitable shape is punctuated by its signature sapphire cabochon crown, housed by the integrated crown. 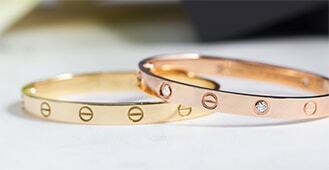 The ubiquitous Cartier style, the Love Collection began with an elegantly simple elliptical bangle. Dotted with perfectly spaced flat head screws, the Love Bracelet locks with a screwdriver, which is to be kept by your significant other so only they can “unlock” your bracelet. Inspired by the military tanks used by English troops during World War I, the Cartier Tank watch made its breakout debut in 1917. 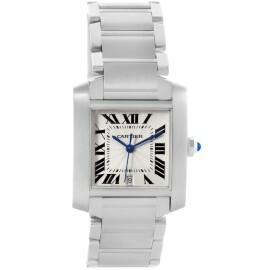 The Cartier Tank integrates distinct caterpillar tracks of the army tank into the bracelet design. 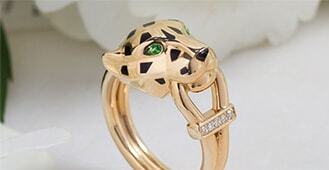 The Cartier Panthère motif has been an integral part of the brand’s identity since the late 1940s. This big cat has been reimagined in some of Cartier’s most luxurious pieces and has become a symbol of Cartier’s sophistication and creative spirit. The Panthère de Cartier watch was initially launched in 1983 and quickly became the symbol of the day’s opulence and energy. It was pushed back into the spotlight when Cartier announced it was reinstating the watch collection in 2017. Released in 1924 and still one of Cartier’s most popular styles, the romantic Trinity collection features three interlocked rings or bracelets. Each gold band represents a tenant of a strong relationship: the white gold stands for friendship, yellow gold for loyalty and rose gold for true love. The Calibre de Cartier is the very first in-house self-winding chronograph in the maison’s long history. True to their signature design style, Cartier’s elegant round case shape handsomely balances the hefty watch size. Inspired by the shape of construction nails, the Juste Un Clou collection’s uncomplicated design has a downtown edge that gives it a grittier sense of character without sacrificing Cartier’s signature luxurious touch. In 1904, Louis Cartier specially designed the Santos watch for his friend, the Brazilian pilot and aviation pioneer Alberto Santos-Dumont. 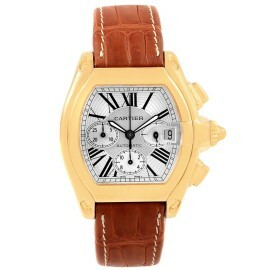 Cartier’s masculine square-shaped wristwatch sparked an entirely new demand for men’s wristwatches. 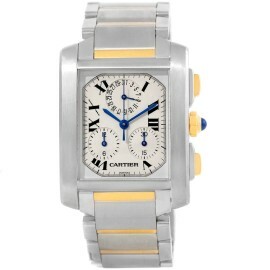 Today the handsome Santos remains one of the most impressive watches in Cartier’s offerings. 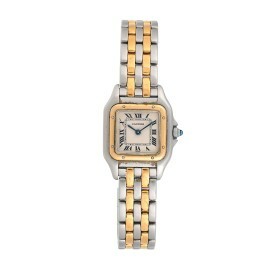 Released in 1943, just one year after Louis Cartier’s death, the Pasha watch became an innovative water-resistant watch. Its round case and protective locking mechanism over its crown improved the watch’s water resistance. But the Pasha’s most prominent design feature was a grille over the dial and crystal that echoed World War I era military watches.